Last night Elk officially started his hunt for green fire. Unlike Amijade, I didn't suffer the RNG gods, running around Thunder Island for weeks hoping the Tome drops. Instead (lucky me), the tome dropped on the auction house for an absolute steal of 1300g. 30 seconds to swap to my auction house toon, transfer 500g over, and it was all MINE! Woot! Nice bit of lore. 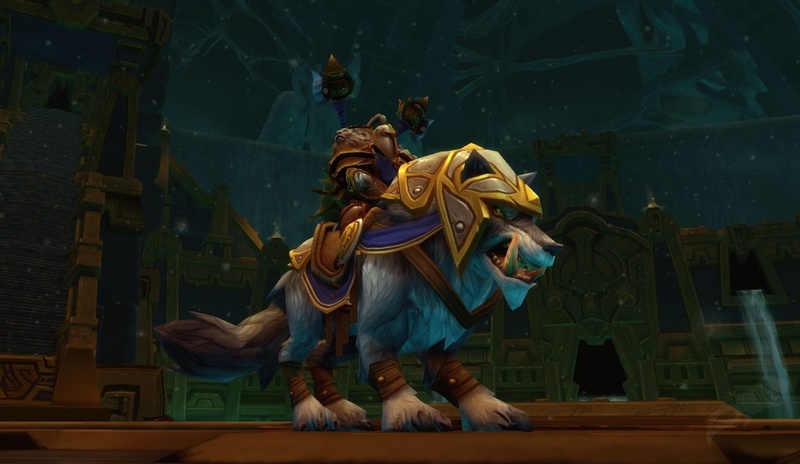 The reading (and it's copious) uncovers some of the behind the scenes to how warlocks got our MoP spell improvements. Class specific. This quest line has me using warlock spells that I haven't used since the novelty ran out. I just ran through a maze of traps using my all seeing eye. Well, I'll let you know when the (now) destro 'lock has some green fire, but I don't think it will be soon. Reports of needing 500+ gear score may be a problem. I got the book for my lock the other day. I haven't even got through the maze yet. I didn't have not much time, so this weekend, I'll try it again. The maze was easy once I dismissed my pet and used the eye + glyph for teleport. I found my pet, whatever I picked, would randomly trigger a trap. Using the warlock teleport, I could jump big sections without weaving through the maze. Bah! Tried leaving a comment today on my phone, but it didn't work :( All good though because I can leave one at home. Gratsie on the tome! So my horde server the tomes are fetching 40k and my Ally server they're actually being sold between 800.00 to 1,200.00. Omg, talk about a price difference! I completed the entire questline and final fight last week. It isn't easy, but it's doable :) It really is fun though and actually the most fun I've had working on a boss in a long time. Good luck and if I can help in anyway, just let me know! With the number of locks on Malfurion, I'd expect a higher price on these. Or, market saturation has caused these to drop to 'reasonable' rights. You can get the green fire with patience, don't need extreme ilevels. Take a bunch of Potion of Purification. This potion cure the Curse of Ultimate Doom. Use only if you are about to kill him (in the last minutes). Place a Demonic Gateway in position like this. The Glyph of Gateway Attunement helps a LOT. Use the gateway to: Avoid Chaos Bolt; Drop aggro from Imps; Drop aggro from Doomlord. Escravize the Pit Lord as soon as possible. Interrupt the first cast of Ultimate Doom (this save some seconds) with Charge. Keep using the Pit Lord Fel Flame Breath and try to position yourself behind the boss to get hit too. This heal and cure curses from you. In the Imp phase, use Rain of Fire, put the Pit Lord on Imps, use the portal to drop aggro. Before he mention the Felhunter cast, command your Demon to hide behind a pillar (in passive mode) and use your cooldowns (offensive and defensive) to kill the adds. I like to use Rain of Fire, Immolate, Havoc and Chaos Bolt. Thats the worst part. You need to prevent the add to even SEE your pet, or they will free the enslave. When he stops to summon the DoomLord, dismiss and enslave your Pit Lord again. Make him to attack the add and use the Gateway to drop aggro. You want the add attacking your pet. Then just forget this add for now. Repeat all above. When the second Doom Lord is about to come, use Fear in the current Doom Lord (that still attacking your pet), dismiss, enslave again and make the two Doom Lord get aggro in your pet. Use the gateway to drop aggro from you! Here you will drink the potion. If you manage to do this (requires patience and concentration), the boss just summon Imps again and again. Easiest phase in my opnion: LOTS of embers to Ember Tap or Shadowburn. Thanks Sabin for the write-up. Sadly I am still wiping on the giant four-sided head. The lost souls eat me up. I've seen him at about 30% when I successfully interrupted his aoe ability. I also setup my portal outside his range, which helped. Maybe if I train into the multi-point drain life? Hum, I was able to 1-shot this... I don't even remember what I did. Try to let your Voidwalker tanking and use Shadowfury to stun and interrupt skill. I remember the need to avoid some flames on the ground. Just optimize the use the room space.